After witnessing the great need that exists at their kids coat distribution yesterday in Manhattan, Kars 4 Kids has announced a new coats initiative ahead of Blizzard Nemo. After seeing today how many people still don't have proper winter wear for their children, we want to ensure that every child is properly clothed for the winter weather that is about to hit the tri-state area. Kars4Kids will be accepting registrations on their website from anyone who still needs a kids coat and plans on sending the coats overnight the coats for a Saturday arrival weather permitting. "After seeing today how many people still don't have proper winter wear for their children, we want to ensure that every child is properly clothed for the winter weather that is about to hit the tri-state area," said Kars4Kids spokesman Steven Weldler yesterday, "every child deserves the chance to make a snowman in this weather and we want them to do so safely." 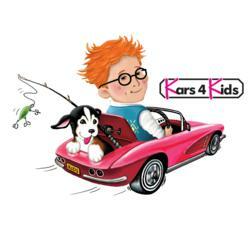 Kars4Kids will be accepting registrations today until 1 pm while supplies last. Anyone can sign up and Kars4Kids expects to have enough coats to satisfy the demand.